07 DIAS ANTES DEL INGRESO NO SE COBRA NO SHOW. SI NO LLEGAN EL DIA PREVISTO SE COBRA EL 100 % DEL MONTO. Here you can enjoy a relaxing stay where you can share stories with other guests, partake in local activities and enjoy the spectacular scenery. 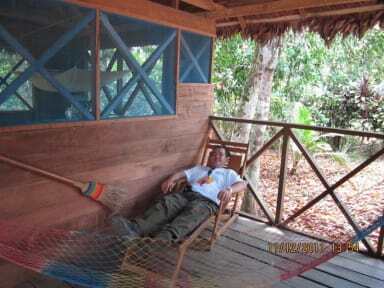 We are situated beside the Tambopata River which is great for fishing and canoeing.